In Nicolas Winding Refn's visually stunning, weirdly dreamlike and fabulously insane new movie, The Neon Demon, Elle Fanning stars as the seemingly naïve Jesse, who shows up in L.A. with aspirations of being a model and instantly finds herself a top agent (Christina Hendricks). She's shot by a trendy photographer (Desmond Harrington), and chosen by a major designer (Alessandro Nivola) to close his runway show. She even meets an aspiring photographer boyfriend (the excellent Karl Glusman), and makes a new friend with the makeup girl, Ruby (Jena Malone). But there is always the threat of menace behind the glittering façade. The movie goes bonkers about half way through, and I haven't felt this tense since David Lynch's Lost Highway. It's like Valley Of The Dolls if it had been directed by Dario Argento. The film oozes with the vampiric, sleek glamour of the fashion scene, and the short shelf lives of most "it girls." Fanning creates a sympathetic, poignant, lead character and Jena Malone is just scarily sensational. Keanu Reeves is seedily terrific in a small role as a malignant motel manager. People take Refn's movies way too seriously, but you can tell he's having a blast here -- you can almost hear the director's sardonic cackle behind each gorgeously composed frame. Todd Solondz's latest is a wicked funny, spectacularly warped odyssey of a sweet-natured little Dachshund and the series of neurotic owners in her strange life. There's the cancer-survivor boy and his affluent, awful, parents (Tracy Letts & Julie Delpy). 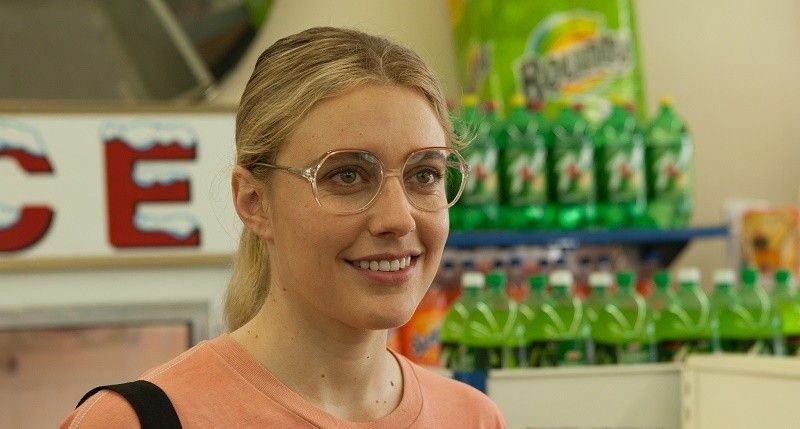 There's Dawn (Greta Gerwig) -- an older incarnation the character nicknamed "wiener dog" in Solondz's Welcome To The Dollhouse -- who rescues the mutt from euthanasia and then goes on a weird road trip to Ohio with a drug-addled former classmate played by Kieran Culkin. (Mercifully, Solondz gives Dawn an actual moment of tenderness here.) Danny DeVito plays a depressed film professor trying unsuccessfully to get word from his agent about a screenplay he wrote. My favorite character, however, might be a miserable Kaopectate-swigging old woman (Ellen Burstyn) who names the dog "Cancer". Ed Lachman's cinematography is so dreamy, even a driveway streaked with dog diarrhea looks beautiful. And Marc Shaiman and Scott Whitman (Hairspray) wrote a theme song for the dog that nearly brought me to tears it's so sardonically sublime -- just like the whole film. Prepare to have your mind blown by this utterly fascinating and ultimately scary documentary about a New Zealand reporter David Farrier, known for offbeat TV segments, who accidentally stumbles onto online videos of "competitive endurance tickling". He snarkily runs a segment about it and is suddenly besieged by a flurry of strange, angry, threatening, homophobic, legal missives from "Jane O'Brien Media." Teaming up with film-maker Dylan Reeve (who has a chip on his shoulders about bullies), they head to America to document their journey to get at the truth behind this seemingly goofy "sport", only to find a disturbing network (fueled by deep pocket money) who lure teenage boys into making the videos. If they dare decide to quit, they're attacked with cyberbullying on such a vicious, vindictive, level that practically paralyzes them. The filmmakers themselves wonder if they might be dangerously in over their heads at times, but soldier on to reveal the epicenter of this weirdness. Miss this at your own peril. 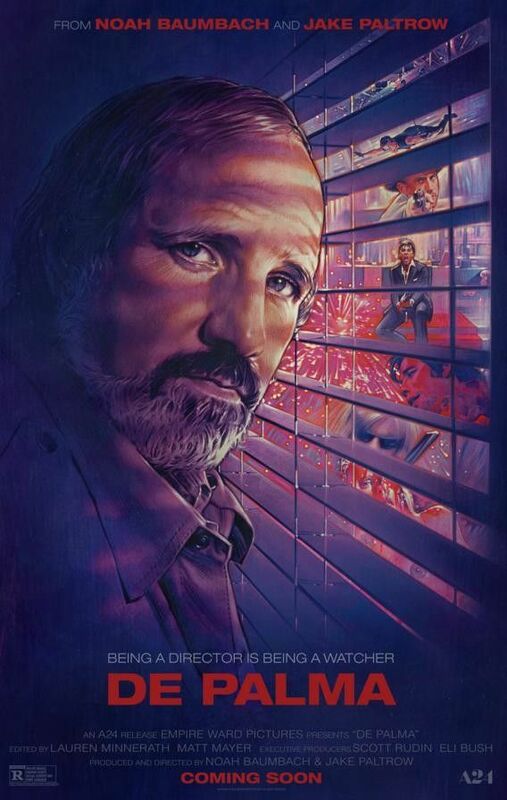 A fascinating and enjoyable documentary by Noah Baumbach and Jake Paltrow about the career of writer/director Brian De Palma. De Palma is quite frank as he describes the making of his films like Sisters, Carrie, Dressed To Kill, The Fury, Blow Out, Scarface, The Untouchables and others. Some of the recollections are refreshingly honest -- Cliff Robertson's antics during the making of Obsession are particularly funny. It's hard for audiences today to remember what a polarizing director De Plama was at the time -- people complained that he referenced Alfred Hitchcock too much (as if that's a bad thing). Critics were generally unkind to him, except for Pauline Kael who really nailed his playfully perverse qualities and how fabulously cinematic and fun his movies were. De Palma has style to kill. 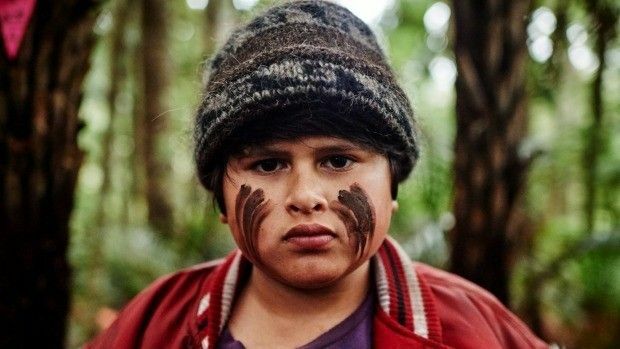 Ricky Baker (the astounding Julian Dennison) is a chubby delinquent foster kid who ends up placed in the remote New Zealand bush country with his kind-hearted "Aunt" Bella (Rima Te Wiata) and her gruff hunter husband Hec (Sam Neill). Director Taika Waititi infuses the film with crackpot charm and Baker is hilarious- a pint-sized grump with his hip-hop dreams and frequent Haikus to vent his frustrations and joys. Ricky's immediate inclination in his new home is to take off, but Bella's nutty kindness keeps drawing him back. When authorities threaten to take Ricky away, he and his Uncle Hec forge deeper into the jungle to evade authorities. This wonderfully warped wonder is finally getting released in the States. Made in 2014 and directed by Jon Watts (who made the fabulous Cop Car), the film follows a real estate agent (Andy Powers) who finds a clown outfit in one of his properties and to not disappoint his son's birthday party slips into it. The next morning, however, he cannot remove the red nose, colored wig or suit. Not only is the clown suit haunted it also fills him with a demonic hunger to eat children. There is a scene in a Chucky Cheese-like indoor playground that is truly twisted and terrific. South Korean director Na Hong-Jin's (The Chaser) morbidly chilling new film is about a series of grisly crimes that overtake a mountainous village after the arrival of a mysterious Japanese stranger (Kill Bill's Jun Kunimura). A schlubby, un-heroic, married, police officer (Kwak Do-Won) begins to think the crimes are possibly a supernatural curse that starts with a body rash and escalates to a violent frenzy and eventual family annihilation. When his small daughter comes down with the signs, he frantically tries to do anything in his powers to rescue her from the horror. Overlong (but in a good way) it's a cinematically impressive, unsettling, dark vision.